Yes, we fruit punned. And we're sorry-but-not-sorry about it. Because when the goods are as good as our deliciously plump Organic Raisins, the fun just comes naturally. 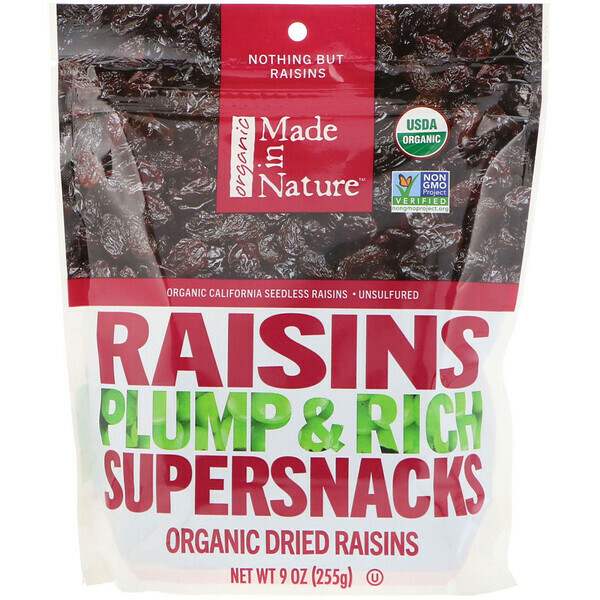 These puckered little pieces of nature's candy start as juicy grapes grown in California's San Joaquin Valley. Then each one is handpicked and sun-dried at the peak of ripeness to create flavor-bursting bites that are anything but boring. 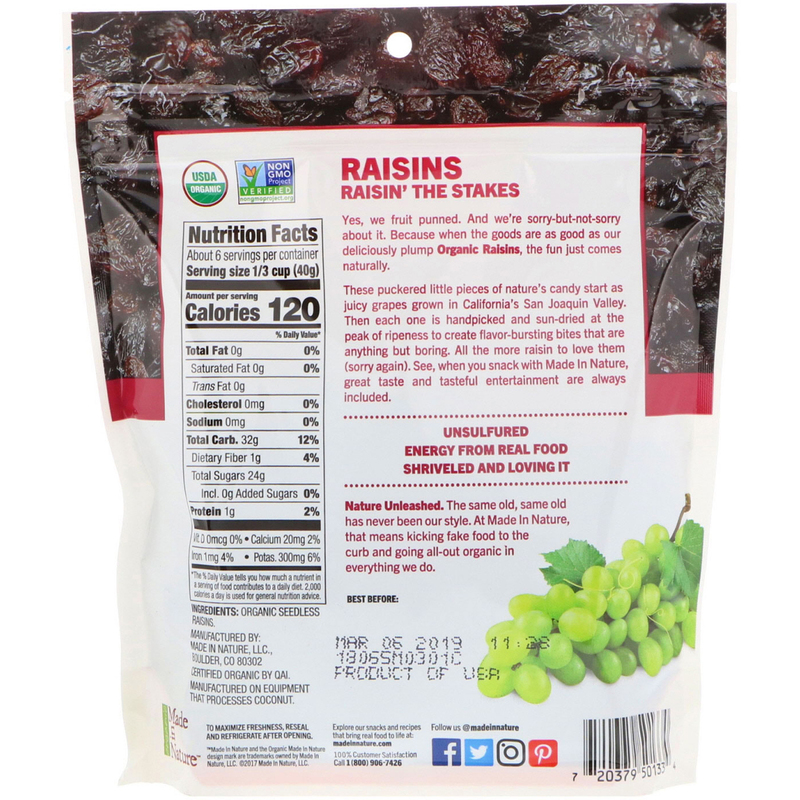 All the more raisin to love them (sorry again). See, when you snack with Made in Nature, great taste and tasteful entertainment are always included.